She was so paranoid about all us humans going in and out while she was building her nest. 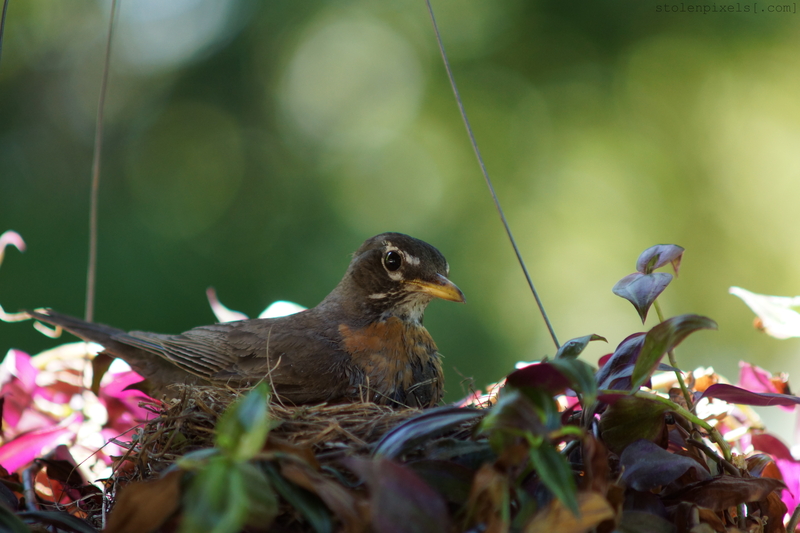 Categories: Nature, Outdoors, Photography | Tags: Birds, Life, Nature, Nest, Outdoors, Photography, Robin | Permalink. Thank you! It was really neat to watch her building the nest. That’s so cool 🙂 If you ever want to read some funny and inspirational stories from my life, you are more than welcome to come by my blog and have a Cup of Joe. Great to hear another person that love Lord of the Rings 🙂 Thanks for stopping by I really appreciate it and I hope you enjoy your Cup of Joe.